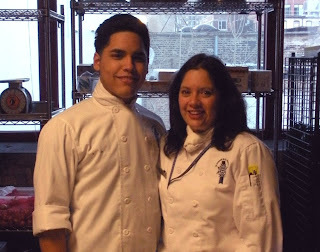 I’m a student at the Cooking and Hospitality Institute of Chicago. One of the perks of being a culinary student in Chicago is being able to enjoy the rich, ethnically-diverse cuisine that’s generously sprinkled throughout the city’s downtown and 77 neighborhoods. According to the most recent data from the U.S. Census, more than one in 5 (22%) Chicagoans was born outside the United States. And 35% of the city’s residents can hear a language other than English at home. One of my classmates is Jesus Martinez, whose family comes from the island of Puerto Rico. 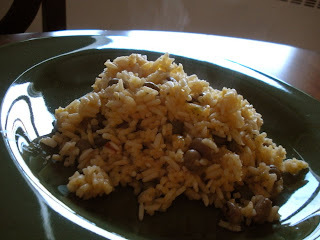 Jesus was kind enough to share his family’s recipe for Arroz con Guandules, literally Rice with Pigeon Peas. Pigeon peas are nutritional dynamos, containing high levels of protein and packed with important amino acids. Arroz con Guandules has frequently been described as Puerto Rico’s national dish. I needed to make a few adjustments to Jesus’s family recipe, as the original ingredients called for soy and MSG. Nevertheless, the results were wonderful. ¡Buen provecho! Rinse rice in hot water and drain fully; set aside. In a large pot heated over a medium high flame, add the olive oil and let it heat for one minute in order to season the pan. Add the Sofrito, tomato sauce, Sazon and pigeon peas. Mix ingredients together and simmer for 5 minutes. Add the rice and slowly stir the mixture. Add water and chicken stock. Reduce oven to a medium flame. Let the liquid reduce by half and stir once and cover and cook for 10 minutes. Take off the lid, stir and recover, cooking for another 10 minutes. *Sofrito mix is made by Goya, but contains soy and MSG. To make your own Sofrito, puree equal parts tomato, onion, green pepper, cilantro and garlic. I whipped up a big batch of this mix and included it in several other dishes. You can also get freshly-made Sofrito in local Hispanic grocery stores. But make sure you ask about the ingredients as they aren’t always listed. **Sazon is another mix made by Goya that contains soy and MSG. I made my own Sazon after consulting a number of web recipes and the list of ingredients on the Goya product. 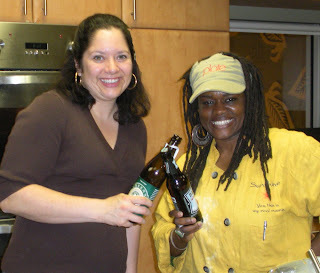 Chef Sunshine and Lisa share a gluten free beer. On St. Patrick’s Day , I attended a festive gluten-free cooking class at the Whole Foods Market in the Roscoe Village neighborhood of Chicago. 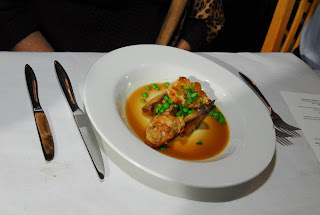 The theme was Irish, the food was fantastic and Chef Sunshine (yes, that’s her real name) was cooking! For just $10, ticket holders were treated to Chef Sunshine’s recipes and tips on how those with food allergies can eat like kings and queens. And on this day of much cheer and celebration, we sampled bacon-fried cabbage, herb-crusted salmon, olive oil cake and of course, a little Irish soda bread. 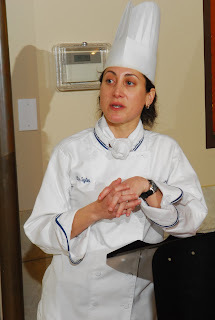 Chef Sunshine was diagnosed with Celiac disease a year after she graduated from culinary school. Celiac disease can occur with people who experience difficulties with the gluten protein. Unfortunately, doctors aren’t quite sure what causes the disease. After her diagnosis, Chef Sunshine embarked on a world tour, learning from other cultures what could be used as a substitute for wheat and other allergens. What emerged from this personal journey was Your Safe Kitchen, a culinary instruction service for those with special diet needs. Indeed, if you haven’t had the good luck to watch and learn from Chef Sunshine, you must do so. 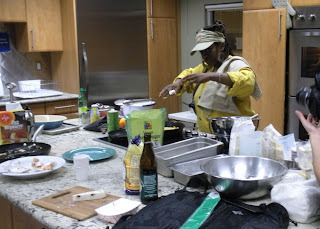 Her enthusiasm, expertise, humility, and unmatched optimism make her cooking class a “can’t miss” event for Chicago’s food-allergen community. 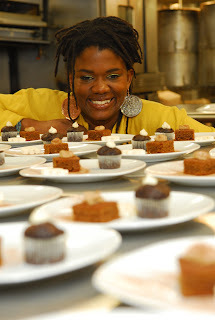 Please visit Chef Sunshine’s Web site at www.yoursafekitchen.com for more details. Just a couple of blocks west of historic downtown Geneva, you’ll find Soup to Nuts, a wonderful grocery store that offers a wide variety of tasty choices for those with restricted diets. Shoppers can also enjoy the store’s Sweet Grass Café, serving smoothies, soups, salads, rice cakes and sandwiches. Last week, I sat down with JR Carmany, proprietor at Soup to Nuts. It wasn’t until college that JR finally understood why she had felt so bad for so long. 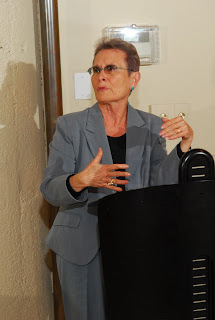 Attending a lecture at Rutgers University, her professor pointed out that 80% of people are dairy intolerant. When the professor then listed the symptoms of dairy intolerance, JR wondered if she too was among the more than 12 million Americans with food allergies. This lecture inspired JR to learn as much as she could about food allergies and how they were affecting her body. Her research ultimately determined that she was lactose intolerant and allergic to corn. After careers in education and the natural foods industry, JR eventually opened Soup to Nuts. In order to ensure that the food served at her cafe is free of cross contamination, JR and her staff take all the necessary precautions. Wheat-free tamari is used, for instance, and smoothies are blended with 100% organic fruit and ice. All soups are gluten, dairy and sodium free. What’s more, the café uses fresh wax paper on the work tables so that orders can be prepared without the risk of cross contamination. We need to listen to the signals our bodies are giving us and learn how to take care of it, said JR. When we change our diets, it’s not the end of the world. In fact, it’s a new beginning, she added. On April 21st, I will be speaking to members of the local Fox Valley Mothers of Children Having Allergies (MOCHA) support group at Soup to Nuts from 7 to 9 P.M. Please visit my Web site for more details. Soup to Nuts is located at 716 W. State Street in Geneva, IL. The store can be found on the Web at www.souptonutsgeneva.com or call (630) 232-6646 for more information. 50 people gathered at the first Safe and Sound Dinner for people with food allergies in Chicago. The tables were set, the meal was safe and the guests were delighted! Thanks to the support of the Cooking and Hospitality Institute of Chicago, Chef Alisa Gaylon, Chef John Fuente and their team of student volunteers the dinner was a huge success. It was rainy and dreary outside, but Chef Sunshine from Your Safe Kitchen lit up the room with her tales of traveling the world to find alternatives to wheat flour and her wonderful vegan, allergen-free treats including sugar cookies and chocolate mini cup cakes. Dr. Martha Howard, medical director of the Wellness Associates of Chicago addressed the unique challenges facing people with food allergies and how to get the proper mix of nutrients in their diet. She recommended taking Vitamin B-12, Vitamin C and Omega-3 fatty acids. Chef Alisa Gaylon then discussed staying safe when dining out, and recommended practical tips like handing a restaurant safety sheet to the chef. You can find one at my Web site. Meanwhile, Chef John Fuente spoke about special dietary requests. He noted that 10 years ago, vegans and vegetarians were not taken seriously and now many restaurants regularly cater to those with special dietary needs. 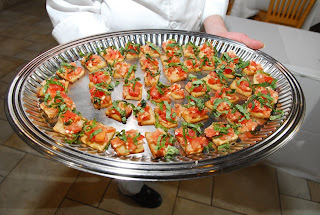 Chef Fuente also encouraged the attendees to insist on alternatives to standard menu fare. Our next event is April 27th at Rose’s Wheat free Bakery and Café. Register here to get priority reservations for this event. 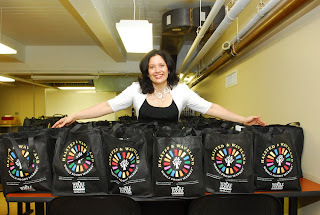 Chicago’s food allergy community is raving about Lisa’s Safe and Sound Allergen Free Dinner! Register now for the April 27th dining event at Lisacooksallergenfree.com. Complete details will be posted next week. 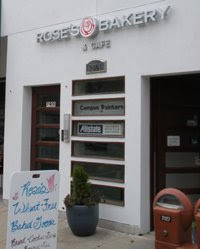 Rose O'Carrol, owner of Rose's Bakery & Cafe in Evanston, will host the April Safe and Sound Allergen Free Dinner presented by Lisa Cooks Allergen Free. Register now, seating is limited to 50 for this event. 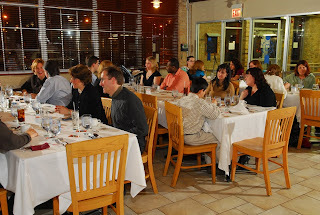 Enjoy a worry free allergen free dinner at Chicagoland's premier destination for gluten free products.